Our Idiot Brother is a younger, dippier Dude. An interesting thing for me about Our Idiot Brother is that I spent the entire movie thinking that it featured Parker Posey. What’s more, for about half of that time, I had concluded that Parker Posey was destined to be the same character, from Best In Show, to Scream 3, to Superman Returns. How surprised was I to find that Poseywas able to show some range through the middle part of the film towards the end. How even more surprising was I discover that the reason she exhibited such range was that she was actually Elizabeth Banks in a bad wig. And she’s not the only one in a bad wig. ...This lady on the right? This movie is clearly designed to expound on the comic potential of Paul Rudd, who has stolen movies since The 40 Year Old Virgin. Until now, his range has been of the somewhat uptight guy who is on the verge of losing it. He never does, of course. In Our Idiot Brother, for the first time, he appears never to have had “it.” Playing the delightfully obtuse Ned Rockliffe. Having just gotten out of jail for a truly bad sting operation, Ned is bounced around from parent to sibling to sibling, etc. Along the way, he is treated as if he is a touch short of daft. The strange part about this treatment is that the people who are putting up with him are people he has known all of his life. This makes all the comic situations seem forced. I mean, who could be surprised by anything someone did, if they knew that person since childhood? Faring better are the situations where Ned is left on his own to discover new people. This allows for situations like his conversations with Arabella (Janet Montgomery). They show some real chemistry for an extended conversation when Ned goes in for a date request. She refuses him, in a “sorry you felt this meant something” tone of voice. The reaction that Rudd gives is almost worth the price of the movie…at the cost of a rental. Ned is kind of like a younger, dipper version of The Dude. His ambitions are not high, and although he usually is, he is a bit more functional, due to his young age. He is dense, to be sure, but it’s more because he is not interested in causing a ruckus. The relationships he has with his sisters really shows them doing the majority of the work. As easy as he is, each of them have hangups that cause problems (or ignore them) in their own lives. This allows for them to flagellate wildly calling him names, when they really should be thanking them. But in a story like this, you know they will in the end. Of the sisters, I appreciated Banks’ the most. Deschanel is less annoying than she had ever been in any of her earlier efforts, too. Mortimer plays victims in every one of her films, so she broke no ground here. Shirley Knight’s performance as the mother is more remarkable, as she exhibits the same general demeanor as her son. It might come as a bit of a surprise, were one not familiar with her résumé, which includes 2 nominations for Best Supporting Actress Oscars. I am intrigued enough to look in to more of her recent work, including, Elevator. This movie is by no means necessary. It is not even in the top 10 of Paul Rudd. It is, however, an example of his prowess, even working with tepid material. The movie was extremely profitable, making 5x its original budget. Seems incredible, unless you consider the fact that it was a $5 million budget. If you have some extra time on a Tuesday night, give it a shot. 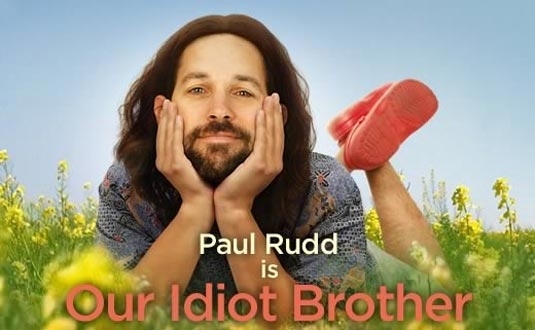 The cover for this film is so funny, Paul Rudd looks hilarious. I’m a bit surprised you did not give it a higher rating, but great review nonetheless! I would have, if the beginning of the film had not seemed to be so riddled with cliche. I really hated Elizabeth Banks’ character when I thought it was just another Parker Posey character.